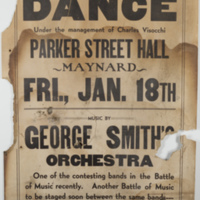 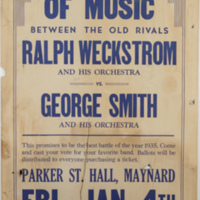 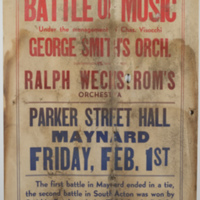 A window card announcing a battle of the bands between Ralph Weckstrom and his orchestra vs. George Smith and his orchestra. 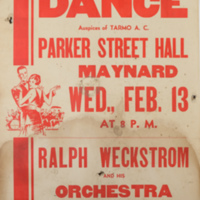 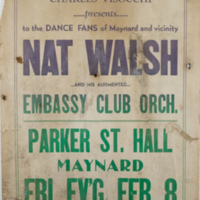 A window card advertising a dance at the Parker Street Hall. 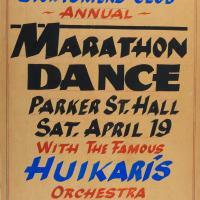 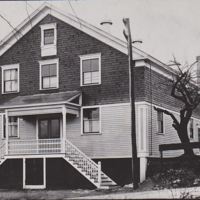 The hall was more often referred to as The Parker Street Hall. 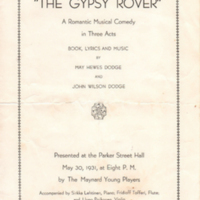 The play was presented at the Parker Street Hall. 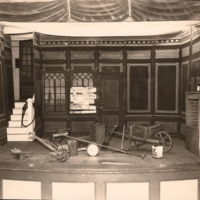 The St. Bridget's Players were preparing the stage for a presentation of "George Washington Slept Here" on January 29, 30 & 31, 1945. 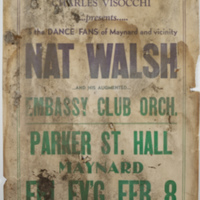 Information and photocopies of pictures of the hall. 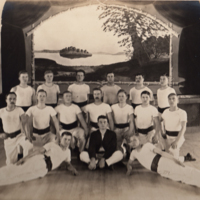 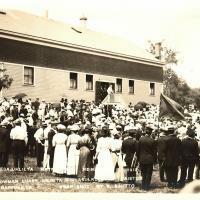 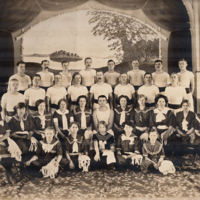 A photo of the Gymnasts of the Finnish Workingmen's Association. 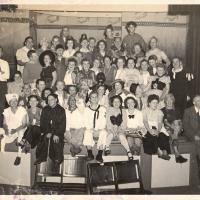 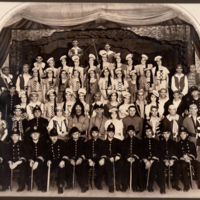 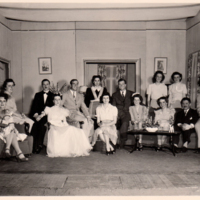 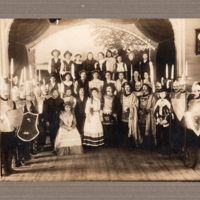 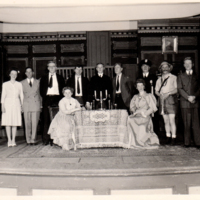 The cast that put on the Gilbert and Sullivan musical at the Parker Street Hall. 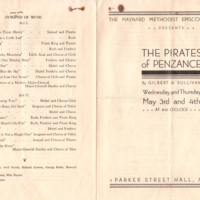 Two copies of a Program for the production of The Pirates of Penzance, presented by the Maynard Methodist Episcopal Church, on May 3, 4, 1930's, at the Parker Street Hall, Maynard, MA.